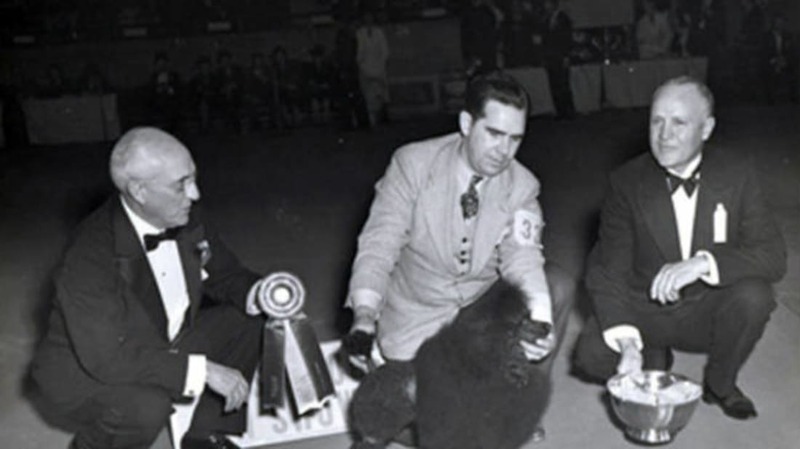 As the 2017 Westminster Kennel Club Dog Show gets ready to kick off this weekend, let's take a step back into its history to see the prestigious dog show's earliest, most groundbreaking, and interesting Best in Show winners. The Westminster Kennel Club held its first dog show in 1877, but did not introduce the Best in Show award until 1907. The first winner of Best in Show was a female smooth-coated fox terrier named Warren Remedy. Ch. (Champion) Warren Remedy went on to win the title again in 1908 and 1909, too. To date, she is the only dog to have won Westminster's Best in Show three years in a row. 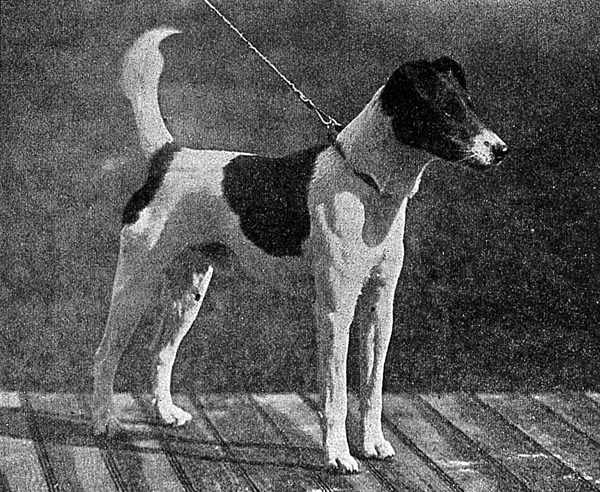 The legendary terrier also won a slew of awards at other shows, and her death in 1912 rated a notice in The New York Times [PDF]. "The counting of the damage showed the wolf hound minus one of his teeth and the St. Bernard with a mouth that was badly torn. One woman who pressed into the crowd surrounding the fighting animals fainted and was carried into the ring near where the dogs had their fight. The most disappointed person in the Garden was a small boy, who repeatedly called to 'let 'em fight it out.'" 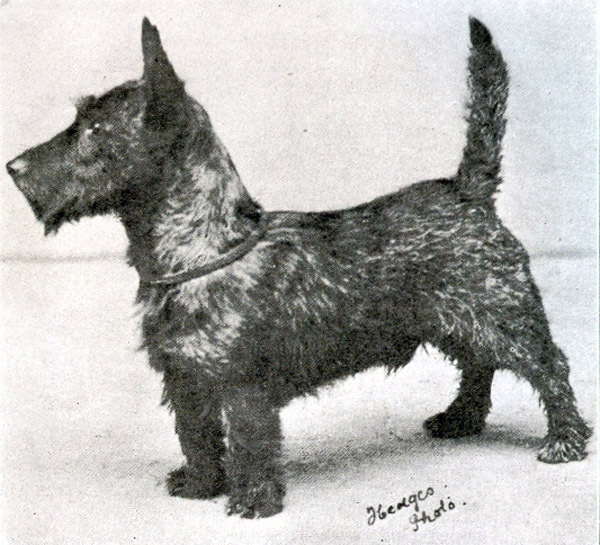 The 1911 Best in Show winner was the male Scottish terrier Tickle Em Jock. Andrew Albright of New Jersey purchased the dog from a London butcher for about $15, and paid a little more for proof of his pedigree [PDF]. Other exhibitors at the show grumbled that Tickle Em Jock wasn't even a good example of his breed, much less deserving of Best in Show. The little dog displayed his rough beginnings later that year by biting a judge right after winning Best in Breed at another show [PDF]. 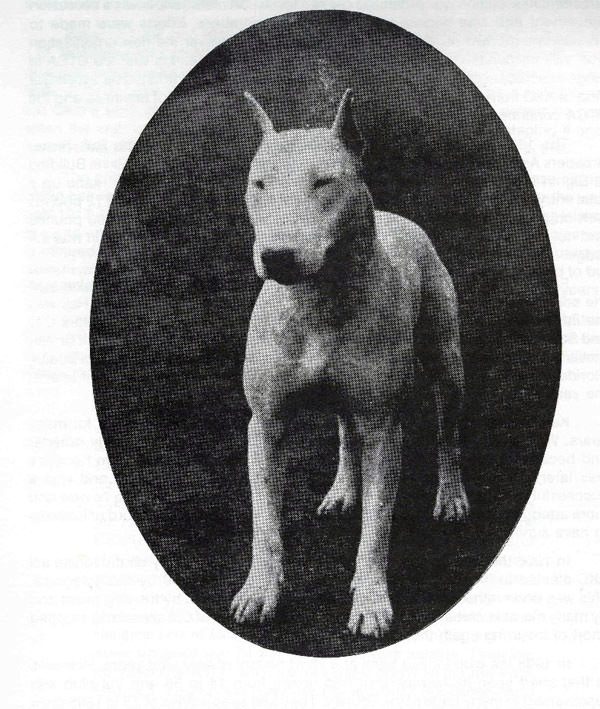 The first bull terrier and the first Canadian dog to win Best in Show at Westminster was Haymarket Faultless. The road to the title was not easy, as the two judges were split and stubbornly holding out for their personal favorites: Haymarket Faultless and a Pekingese named Phantom of Ashcroft. Eventually the judging referee, who was a terrier expert, broke the tie. Haymarket Faultless was the favorite to win Best in Show for the next several years, but he was passed over for other dogs. 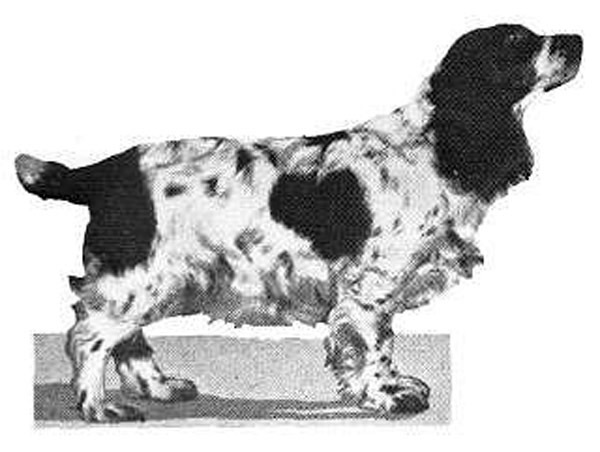 Midkiff Seductive was the first cocker spaniel to win Best in Show at Westminster. In a bizarre repeat of the 1918 decision [PDF], the two judges were split between two finalists—the female black-and-white cocker spaniel and Phantom of Ashcroft, the same Pekingese who almost beat Haymarket Faultless three years earlier. The judging referee once again stepped in to break the tie, and awarded Best in Show to the spaniel [PDF]. 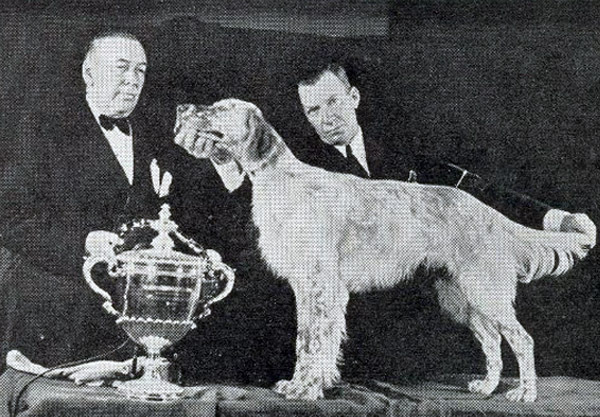 Laund Loyalty of Bellhaven was the youngest dog to ever win Westminster's Best in Show, at exactly nine months old. Only one other puppy under a year old has ever won the title (Daro of Maridor in 1938). 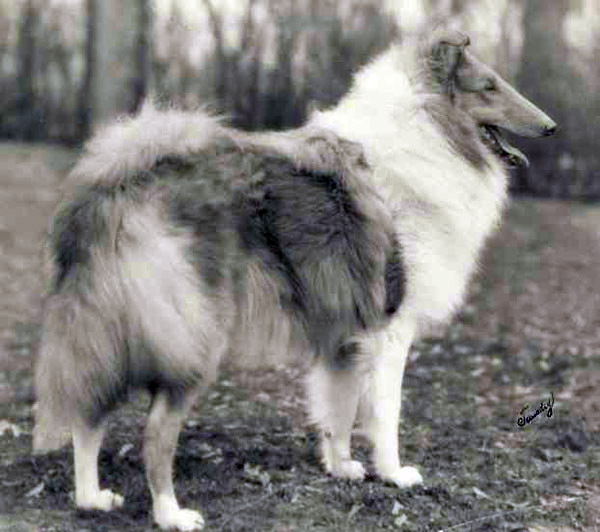 He is also the only collie to have won the title so far, and in 1929, that meant first competing against the other 120 or so collies entered that year. However, Laund Loyalty of Bellhaven never competed in another show after that first big win. Florence Ilch, owner of Bellhaven Collies, claimed the champion collie was the target of death threats. She even claimed that the champion she called Don had been blinded by an acid attack. While some of the threats were documented and attacks against show dogs were not unheard of, there was no veterinary report corroborating the blinding claim. The first poodle to win Best in Show at Westminster was a male standard poodle named Nunsoe Duc de la Terrace of Blakeen in 1935. 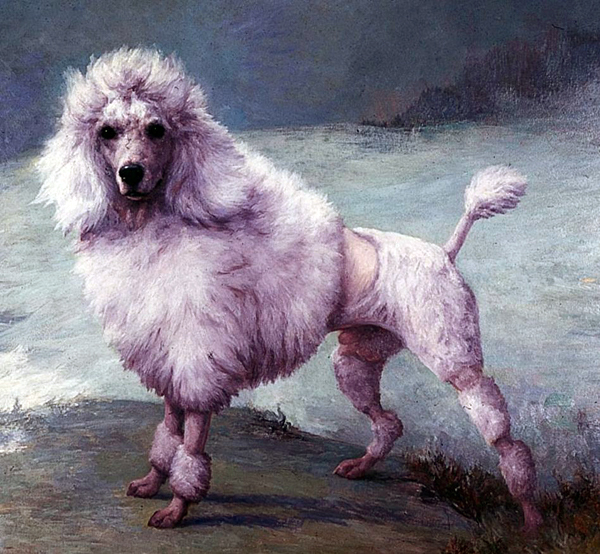 The Swiss-born poodle came close to winning the title at Westminster in 1934, but was defeated by Ch. Flornell Spicy Bit of Halleston. By the next year, Duc had won titles in England, Switzerland, and France, and was able to sweep the field at Westminster. 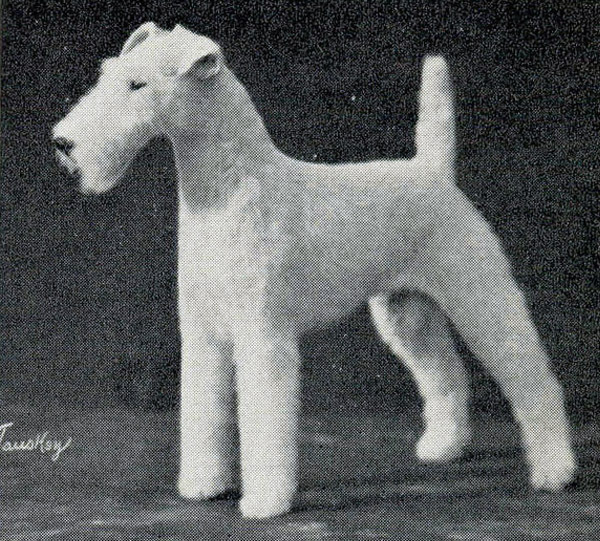 Terriers from Halleston Kennels won numerous awards in the early 20th century, including three wire fox terriers which received Best in Show awards at Westminster. Signal Circuit of Halleston won Westminster's Best in Show in 1926, Flornell Spicy Bit of Halleston won in 1934, and Flornell Spicy Piece of Halleston was named Best in Show in 1937. The two "spicy" dogs were not related, but of all the Westminster champions, Flornell Spicy Piece of Halleston might just have the best name of all. Dwight Ellis raised hunting dogs for years before getting into dog shows. In 1936, he purchased the champion English setter Sturdy Max—the advertising face of Sturdy Dog Food—for his Maridor Kennels. Sturdy Max sired a litter that included the setters Dora, Mora, Daro, and Maro. 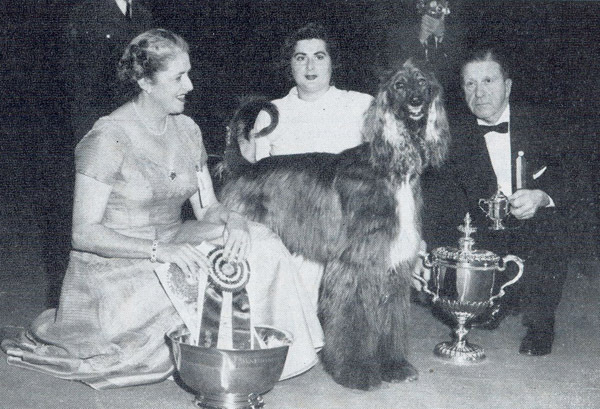 In 1938, Daro of Maridor entered his very first dog show, the Westminster Kennel Club Dog Show, and at 10 months of age became only the second dog under a year old to win Best in Show. Unfortunately, Daro contracted distemper at the show, and although he survived, Ellis gave up on dog shows after that experience. Daro went on to win several other awards for other kennels. 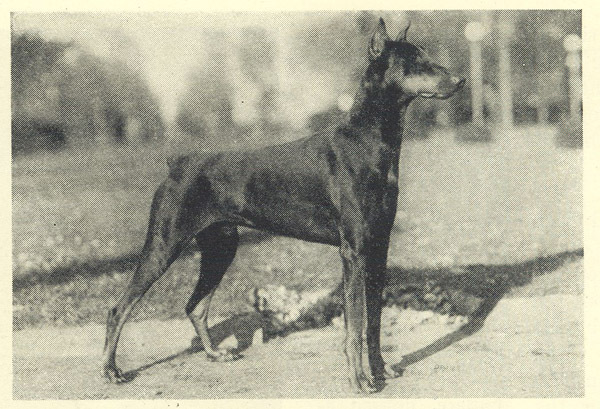 Ferry v Rauhfelsen of Giralda was the first Doberman pinscher to win Best in Show at Westminster. 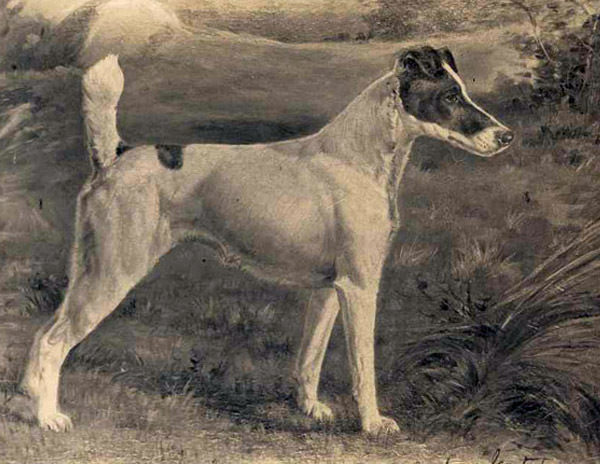 The breed was controversial, and Ferry was no help to its reputation. The judge who awarded him Best in Show could not touch him, and others reported that he was “a rowdy and vicious one.” Still, he won several other championships, and his offspring, while few, won awards as well. It was only in 1933 that miniature poodles become officially recognized in the U.S. as a breed distinct from standard poodles. 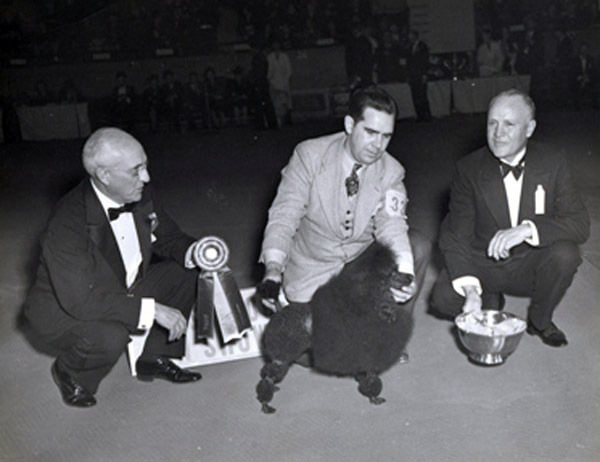 Pitter Patter of Piperscroft was the first miniature poodle to win Best in Show at Westminster. The cute little dog is also in the running for the best-named dog ever. "It was abundantly clear to the 11,000 spectators at Madison Square Garden and to the thousands who watched the Westminster Kennel Club show on television last week that the aristocratic Afghan, Ch. Shirkhan of Grandeur, had a marked advantage over his five competitors for best of show. The others walked or trotted, ran or cantered like dogs. Shirkhan moved like a king." The next Afghan hound to win Best in Show was Ch. Kabiks The Challenger in 1983, whose pedigree listed Ch. Shirkhan of Grandeur in several places. All images are courtesy of the Westminster Kennel Club.